It’s that time of the year again when we look back and wonder: What’s happened this year? What have I done? 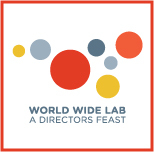 World Wide Lab has happened AGAIN this year. Apart from the “usual” craziness with us directors from 7 different cultures co-directing, we had, including actors, 10 different cultures participating this year. In the first week, we paired up actors with different cultural and/or training backgrounds to co-lead sessions as part of warming up for intercultural collaboration. This week, we will be posting some of their experiences on our blog. This entry was posted on December 7, 2016 by Jay Stern.